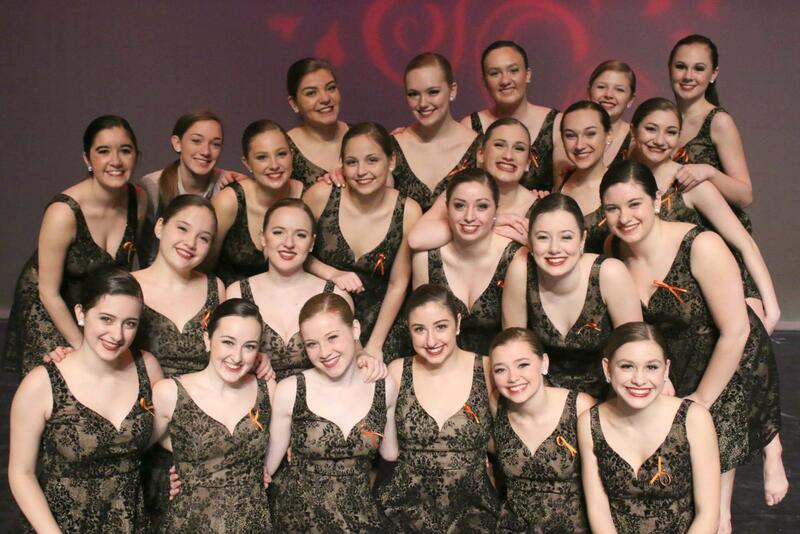 Robbins gets ready to dance with her team at the Make-A-Wish Benefit Performance. After a long day of school, senior Hailey Robbins spends her afternoons rushing from activity to activity, trying to get homework done, and looking for time to relax in between it all. With two dance teams, prom preparations, Blue Star Lancers, Pay It Forward, and honors societies, she is kept very busy. Robbins started dancing 15 years ago and hasn’t stopped since. She has also participated on the school dance team since her first year here. Though the dancing is a lot of fun, Robbins actually enjoys the people that she has met more than the activity itself. As captain this year, she is ready to take over choreographing for the dance for Mr. LHS. Robbins will choreograph the dance with the help of the two other captains, senior Haley Gyorda and junior Marissa Duragano. Though this piece won’t be as serious as they are used to, they will still enjoy it just as much. It doesn’t have to be perfect, so it will be enough for her if the boys just have fun. After choreographing the pep rally dances for the past two years and doing some work at her dance studio, she has found her own method and routine for making up dances. Though she loves both dancing and choreographing, putting them both together is her favorite. Along with dancing, Robbins is also prom chair for her grade. She and her partner senior Audrey Severn are responsible for booking a venue, talking to a DJ, planning a theme, getting supplies, and more. She decided to take up this position because of her love for planning events that she inherited from her parents. After high school, she plans to go to college for political science on a pre-law track, with her top school being University of Virginia. Though she may be leaving LHS, her dance career doesn’t end here, though what form it will take is still up in the air. Regardless of her choice, her future will still revolve around doing what she loves to do. Robbins’ life is filled to the brim with activities, but she wouldn’t have it any other way. “I love doing what I do, and I have a busy life, but I know that it’s so worth it in the long run,” Robbins said.